Martin is best-known as a painter of religious subjects and fantastic compositions. His paintings, typically vast landscapes and cityscapes peopled with a myriad of tiny figures, enjoyed great success, as did the engravings made from them. Among his principal pictures are Belshazzar's Feast (Tate Gallery T04896), The Last Judgement (Tate Gallery T01927), The Plains of Heaven (Tate Gallery T01928) and The Great Day of His Wrath (Tate Gallery N05613). Several of these were engraved by Martin himself. The engravings of The Deluge (1837) and two others were presented by the French Academy to Louis Phillippe who ordered a special medal to be struck and sent to Martin as a token of esteem. After the Belgian government bought The Fall of Ninevah, the Belgian Academy made Martin a member and the King of Belgium created him a Knight of the Order of Leopold. John Martin (19 July 1789 – 17 February 1854) was an English Romantic painter, engraver and illustrator. He was celebrated for his typically vast and melodramatic paintings of religious subjects and fantastic compositions, populated with minute figures placed in imposing landscapes. Martin's paintings, and the prints made from them, enjoyed great success with the general public—in 1821 Thomas Lawrence referred to him as "the most popular painter of his day"—but were lambasted by John Ruskin and other critics. A roundup of the John Martin Twitter adventure game. 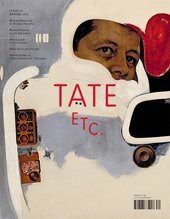 Tate Debate: Films, music, art - what has best depicted the apocalypse? With the John Martin exhibition on at Tate Britain, we've been looking at apocalyptic visions. A round up of the weeks events in Tate's Twitter game. John Martin: Taking the train to the New Jerusalem?